James Wyatt was one of the great late 18th century English architects and was involved in remodelling Windsor Castle for George III. Later on his nephew and pupil Jeffrey Wyatt (who would later become Sir Jeffry Wyatville) also worked on Windsor Castle for George IV. 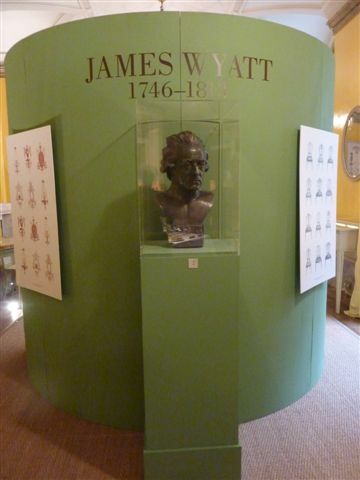 But back to the great James Wyatt – his other commissions included Heaton Hall, Castle Coole, Fonthill Abbey, Goodwood House and Heveningham Hall. 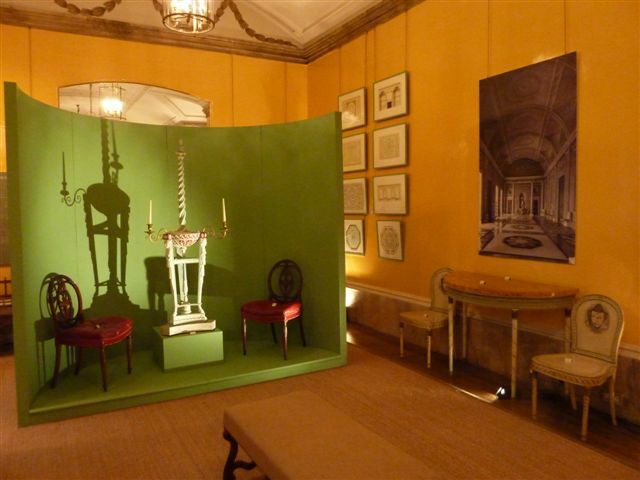 The latter house provides the raison d’être for this exhibition as James Wyatt was responsible for the glorious interiors and furnishing of the house. 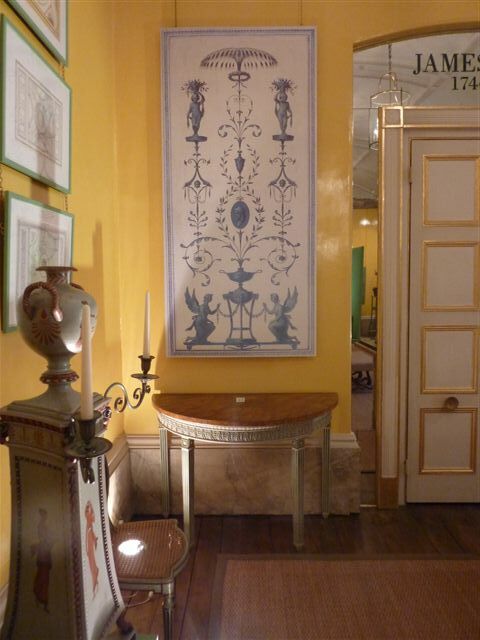 On view is a selection of furniture from various rooms in the house which are not normally on public show. 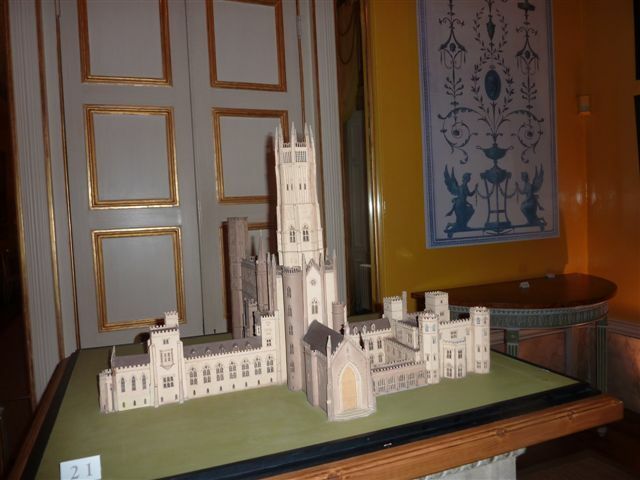 Other items in the exhibition include, original working drawings and one of his masterly architectural models, in this case for Fonthill Abbey. 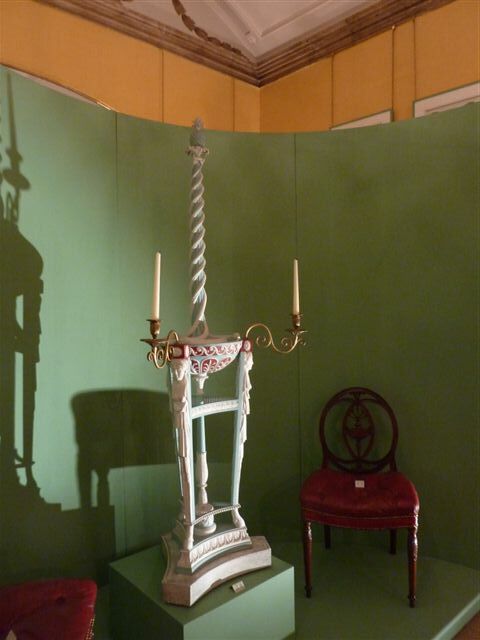 Wyatt was the first architect to prepare designs for industrial and commercial manufacture, such as his designs for Matthew Boulton (silver and Sheffield-plate) and furniture for Gillows. A pair of silver sauce tureens from his designs are on show as well as a pair of dining room chairs that are most likely made by Gillows. 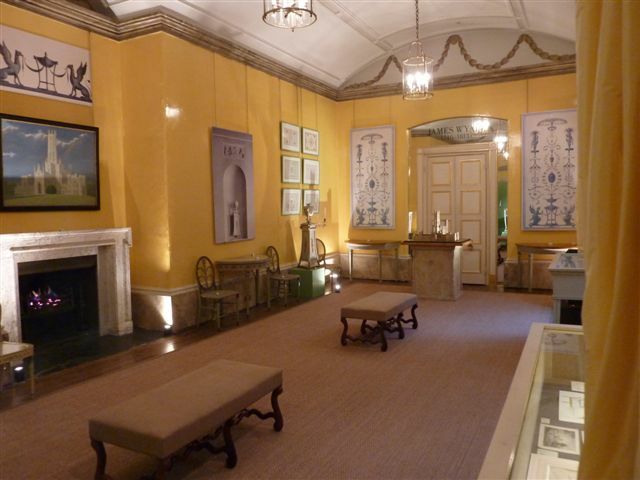 These highly elegant examples of Georgian taste, at its best, can be seen at 39, Brook Street which interestingly enough was Jeffry Wyatt’s home and office and which is a fortunate and rare listed survival of a Regency architect’s house. 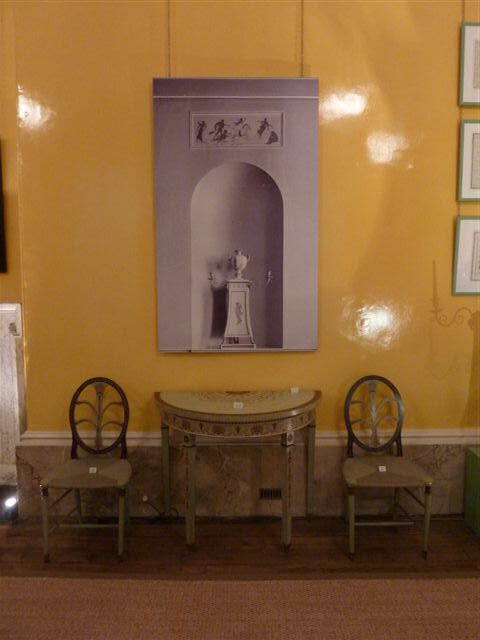 The exhibition is shown in what was the gallery and which in the 1950s was transformed into the much celebrated Yellow Room for Nancy Lancaster by John Fowler. The exhibition is curated by Dr John Martin Robinson who is the author of critically acclaimed James Wyatt, Architect to George III (2012). The book will be on sale during the show, alongside watercolours of Wyatt designs by Royston Jones, postcards and tea towels featuring designs by James Wyatt. James Wyatt, Architect to George III, Dr John Martin Robinson, Yale Books. 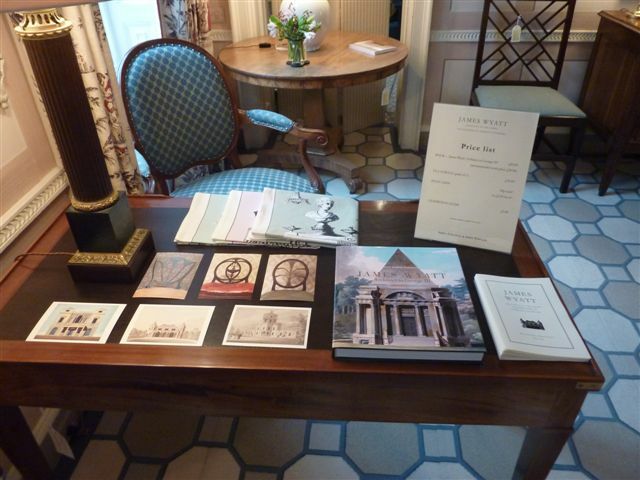 Signed copies of the book will be available at £40 (rrp £50) throughout the exhibition. For lecture tickets at £20 each, to include a pre-lecture glass of wine, telephone Colefax Group Press Office on 020 7493 2231(email: pressoffice@colefax.com). Doors open at 6.30pm each evening and lectures commence at 7.00pm (on time).